Hello, I’m Ben Remington. You might remember me from such Zone Coverage NHL articles as the August third jerseys series, or the obnoxious amount of draft coverage that didn’t matter, thanks to Filip Johansson. Well, I’m back again for a mailbag, something I did every month last season, and will continue to do as long as my online friends continue to have mediocre-to-below-average questions. First, a few questions from my friend (thankfully) Twitter-less Tommy. Tommy Spannbauer How do I watch the Wild without cable? Buying a ticket to the game is your best bet. But seriously, I wouldn’t know, I’m one of those cavemen who pays too much for cable TV and internet. As a millennial, you say? Shocking, I know, but I’ve never been a fan of streaming stuff, as I have to do often when traveling for work. Something about three-minute delays and constant loading issues turns me off. That being said, plenty of folks watch the Wild without cable. I’m assuming they use magic bird baths or Iron Man suits or something, I don’t know. Tommy Spannbauer Who is gonna be the Wild’s leading goal scorer? It’s ballsy, but I’m going to go with Nino. If I keep hoping for him to take it to the next level, it’s gotta happen eventually, right? He’s finally healthy again, he’s got the talent, he just needs to avoid being buried down the lineup. Maybe bring Bruce some Tim Horton’s Tim Bits regularly? Will the Wild be a middling hockey team in a decently tough division? Yeah, essentially. However, I find it odd that everyone is sooooo down on the Wild this season. While it’s very true that they didn’t get better this offseason, I think what’s missed is something that can’t be said for the previous off-season — They didn’t get worse. Sure, the Wild missed out on plenty of splashy moves as we saw other Western teams make, but one thing I keep going back to: there’s a very slim chance that they’ll be as ravaged by injury as they were last season. And not just Parise and Suter injuries that got all the attention, Nino playing on a broken leg all year, and whatever the heck was going on with Coyle’s wrists that gave him the power of invisibility. The Wild were somehow a 101-point team last season with those injuries, and somehow, everyone thinks there’s no way the crack 100 again. I’m not saying it’ll happen for sure, but I’m puzzled by it. Supposing health is fine, who rounds out the bottom six opening night? Now, this isn’t the sexiest bottom six in the world, but I think it’s the reality. As much as I’m very excited to see Luke Kunin get his shake at the lineup, I don’t think it happens right away, as they’ll probably make him earn his way out of Iowa, again, for better or for worse. And Matt Henricks was brought in to be a depth guy, and everyone including Hendricks knows that, so he’ll be spending plenty of time in the James Sheppard Memorial Press Box. I do think Greenway earns his way into the lineup, as there’s been more buzz about him being looked at to contribute, oddly enough. Plus, Bruce loves size. And Tim Bits. At what age do bloggers reach their peak? When does their decline phase hit? I’m guessing 30, like most sports. Real life starts to catch up with a bit, and it’s wild the transformation your mindset on life makes when you hit that dirty thirty. Blogging is a young man’s game, for the most part, and if you don’t “make it” at some point, you likely give up, even if it is still fun. So according to this, I started declining [checks calendar] …well, that makes sense. I don’t think so, Joe. We’ve been through bad presidents before. U.S.A.! Where does the oatmeal raisin cookie fall on the best (or worst) cookies list? Do you see the #mnwild shaking up the top 6 still? Or do you think they roll with what they got? Of the alternate jerseys released so far, what’s your pick for best and worst? First off, I will stand with Brett and defend oatmeal raisin cookies. Look, I know they’re missing that ‘this is so unhealthy for me, it must be good’ feeling, but I think I can safely say that a vast, vast majority of oatmeal raisin cookies are chewy. The same cannot be said for other cookies, notably everyone’s favorite, chocolate chip. We’ve all had a chocolate chip cookie that’s more discus than delicious, and I just feel like that doesn’t happen much with oatmeal raisin cookies. That’s not to say that I haven’t had a bad oatmeal raisin cookie, because I definitely have, but I feel like it’s not that often. All of this said, a good chocolate chip cookie or peanut butter cookie takes oatmeal raisin out back the woodshed and stomps a mudhole in them eight days a week. So oatmeal raisin is the safe option. Oatmeal raisin is the Jonas Brodin of cookies. OK, so no big trades aside from refugees escaping the tire fire in Ottawa. Finally, third jerseys, welcome back! For those in the dark, the NHL killed off the third jersey program for one season when they switched to Adidas, just like they did when they made the switch to Reebok. I’ll give a quick rundown here. Avalanche: unveiled their old thirds. I like the logo, but not so much the white shoulders. Blue Jackets: reinstated their old third jersey. While I love the emphasis on the cannon, the roundel logo just kinda ruins it for me. 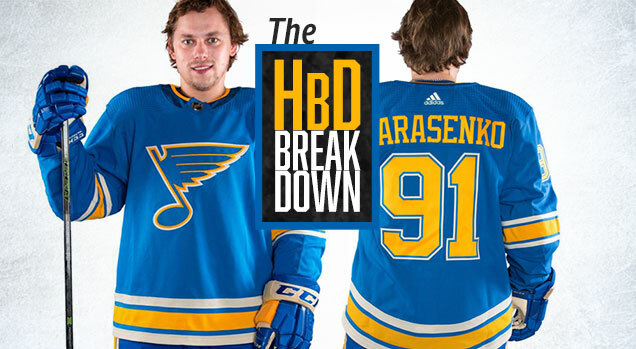 Blues: went with their stadium series jerseys. It’s alright. Canucks: the Flying Skate returns! It’ll be a lot of fun seeing this again. Coyotes: the best decision made all summer, the Kachina Coyote is also returning. Devils: for the first time ever, the Devils have a third jersey. It’s a throwback. I’m not big on them, but apparently the red and green is wildly popular with the fans. Ducks: to commemorate their 25th season, the Ducks made a sort-of throwback. They used their current colors AND their old colors, which leads me to not like it, despite still loving that logo. Flyers: the Flyers brought back their stadium series jerseys. Yawn. 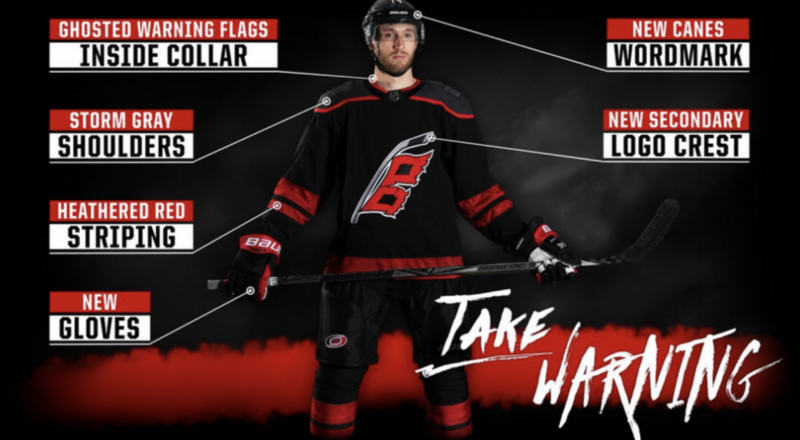 Hurricanes: the Canes jumped the shark a bit with this one, I think. Islanders: another supposed leak, the Isles are making jerseys a little too similar to their regular ones, but just different enough to sell new ones? I dunno. Jets: the Jets new thirds apparently got leaked today. They aren’t what we wanted. Oilers: the Oilers brought back blue jerseys, what a concept. Now they just need to ditch the stupid orange ones. Sharks: the Sharks also had their new thirds leaked before release, and the use of the color black and the same logo slightly re-colored offends me on a personal level. What are the chances of Staal being back next year to finish out his career with the Wild? Next season? As much as I love Eric Staal, I just don’t see it. They scored huge with signing him to that contract and getting the production they did, but paying him a boatload of cash when he’s 34 is a little like this. How much better would the Wild's outlook for the season be if they had signed Tom Vanek? Infinitely better. Tom makes everything better; he’s like if bacon was a hockey player. What are your opinions on Hammond? I really liked the Hammond signing. I wasn’t a huge fan of Stalock last season, as he started strong, but really stunk up the joint in the second half. Competition is great, and I like Hammond to be that sneaky backup that can steal you games. I do think he wins the job in camp, but either way, Iowa is getting a solid goalie, and the Wild have good depth. Where do you stand on Sweet Martha-gate? Ah yes, Sweet Martha’s. For some reason, around State Fair time, it’s become fashionable to bash the fair’s ubiquitous, slightly undercooked, chocolate chip cookies. What’s wrong with you people? A: You don’t like chocolate chip cookies, which makes you a serial killer. B: You’re so cheap and upset by the price of simple cookies that you don’t realize, somehow, that everything at the fair is wildly overpriced. In which case, why are you buying anything at the fair? Stay home. C: You hate undercooked cookies so much that you need to voice your opinion about it, which is also grounds for sociopathic behavior. It’s basically like saying you don’t like cookie dough, which is madness to the level that should get you questioned at airports. Also, as I alluded to above, overcooking cookies is without a doubt the worst thing that can happen to them, and if you were making huge sheets of cookies at a time, which side are you going to err on? That’s right, undercooking. D: You hate anything popular or commercially successful. Congratulations, you’re a cookie hipster. Ben Remington is a Wild and Twins blogger, having written for several different sites since 2014. His parents are very proud of him. Ben also enjoys Cooking, Professsional Wrestling, and imagining if he were a stand up comic.